Vanilla beans often remind us of cupcakes and lattes, birthdays and candles, ice cream and rooibos tea… but have they ever reminded you of brain-power and pain-relief? We bet not. Maybe they will now as we explain the power of vanillin, a strong anti-inflammatory phytonutrient found in this orchid fruit. Vanillin, similar to capsaicin, is known to activate receptors that relieve pain, reduce stress, and enhance cognitive function. Thus, making vanilla powerful anti-inflammatory, brain-powering beans. Not to mention, vanilla beans also provide a very relaxing, sweet flavor enjoyed by most everyone, even most die-hard chocolate lovers! This is why we add it to our super delicious (best ever) almond milks, because without it, they wouldn’t be the same! B-complex vitamins, calcium, magnesium, potassium, manganese, iron, zinc, and many phytonutrient antioxidants including vanillin. Vanilla beans have been regarded as aphrodisiacs, but there’s no scientific evidence to this claim, we are just going off of the way of ancient cultures. Pitaya, also known as Dragon Berry, is a low sugar, low carbohydrate berry… essentially it has “no sugar” compared to all the other common berries out there - which helps maintain healthy blood sugar regulation and stable energy levels. Although lacking in sugar content, pitaya is in no way lacking in antioxidant richness! To list a couple important ones, pitaya is very rich in vitamin C and lycopene! It’s also a good source of calcium, magnesium, B vitamins (B1, B2, B3), and phosphorus; but, most surprisingly of all, pitaya (thanks to its high content of tiny edible seeds) is also rich in heart healthy omega-3 fatty acids. No wonder it’s the new & trending superfruit! Pitaya, or dragon fruit, is actually the fruit of a cactus plant that grows in tropical regions. In Colonial America, the pineapple gained its recognition as the symbol of hospitality. If placed by the entrance of a village or carved into columns at the entrance of a plantation, it meant you were welcome. Today, the pineapple still remains a symbol of hospitality… a symbol of hospitality to our digestive tracts, that is! 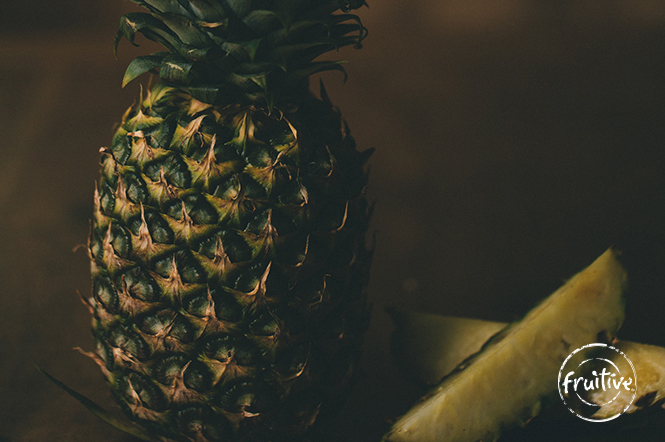 Pineapples are packed full of a unique protein-digesting enzyme, bromelain, which provides anti-inflammatory benefits and immune support, but mostly promotes healthy digestion, especially protein digestion! Moreover, pineapples are said to help lower your risk of age-related macular degeneration, ease pain of arthritis, and improve inflammatory skin problems such as acne and eczema. Can you say digestive-healing-beauty fruits? So, welcome some pineapple into your diet and you’ll be happy you did! Mangos are definite go-tos! Rich in dietary fiber, pectin vitamin B6, vitamin E, folate, copper, vitamin A, beta-carotene, vitamin C, and other phytonutrient antioxidants (quercetin, isoquercitrin, astragalin, fisetin, gallic acid, and methylgallat)... what’s not to LOVE?!? Consequently, because of these amazing nutrients, mangos supply us with some pretty amazing health benefits! We’re talking chronic-disease-risk-reducing, anti-inflammatory, anti-aging, immune-boosting, skin, and eye benefits! Plus, the high content of vitamin C, dietary fiber, and pectin may help improve digestion and elimination, and may even help lower LDL (bad cholesterol). Thanks delicious, brightly colored deliciousness! vitamin A, beta-carotene, vitamin C, fiber, pectin, vitamin B6, vitamin E, folate, copper, & other antioxidant phytonutrients! The deeper the color of the mango "flesh" (the edible part) the higher the carotenoid content/antioxidant capacity. Looking for a way to naturally refuel and sweeten? Think about using a fruit that is jam-packed with honey-like, brown sugar flavor – the Medjool date. We use very few sweeteners in our kitchen, but Medjool dates are one of our go-to sweeteners for many of our baked goods. And, they are not just plain natural sweeteners, they are fruits fit for a king. Back in the day, due to their rich, sweet flavor, Medjool dates were solely enjoyed by kings and noblemen, while peasants enjoyed the more common, smaller date varieties. Little did these royals know, however, that they were also snacking on a fruit rich in potassium, fiber, and cancer-fighting polyphenol antioxidants. Fit for kings, and now fit for you! Potassium, fiber, calcium, sulfur, iron, phosphorus, manganese, copper, magnesium, zinc, selenium. Dates have more potassium than bananas gram per gram! Coconut meat is the perfect fruit for those of you on a low-carb diet. With very little carbs and tons of fiber, coconut meat is the perfect sweet treat without the sugar. But, what coconuts lack in sugar, they gain in fat, most of which is saturated fat. However, unlike most saturated fats, which are long chain fatty acids, coconuts’ saturated fats are medium chain fatty acids. Medium chain fatty acids are easier to break down, and may not contribute to high cholesterol levels – a common misconception about coconuts. But, it’s still important to enjoy these delicious fruits in moderation, and thanks to the high levels of fiber, you may actually feel full before you overindulge! Fiber, manganese, phosphorus, potassium, copper, selenium, magnesium, iron, zinc, folate, thiamin, and vitamin C.
Coconuts are actually the seeds of the Coconut Palm tree, not the nut. Coconut water, or should we say trendy water, is currently all the rage in the health magazines and, now, even in smoothies and juices. Once considered only a tropical treat, it is now enjoyed daily throughout the nation. It’s light-bodied, refreshing, and creamy tasting and transports you, in spirit, to the tropics! Filled with electrolytes and minerals like potassium, calcium, phosphorus, sodium, and magnesium, coconut water not only hydrates, but also replenishes our bodies of lost nutrients after a long day in the sun or an intense workout on the beach. So, fill up on coconut water and attack the day with full force and wellness! Bananas are known for their potassium, a strong electrolyte that prevents those dreaded muscle cramps! But that's not all, they are also a great source of vitamin B6, fiber, vitamin C, manganese, and fructooligosaccharide. Fun fact - fructooligosaccharide is a prebiotic that helps the body absorb calcium - a win win! Actually, let's talk more fun facts ... did you know, the riper the banana, the more antioxidants? Did you know, banana peels are great compost for roses? Did you know that banana peels can also be used to dry out splinters and pimples? Did you know that you can put bananas next to unripe avocados to help them ripen quicker? And lastly, did you know, bananas are DELICIOUS?!? Bananas belong to the Musa species, but the modern cultivated and domesticated bananas are hybrids of the first wild bananas – Musa acuminata and Musa balbisiana. Avocados provide a creamy goodness to any recipe. Packed with many great oils and fats, these nutrient-dense green beauties are one of a kind. Not only do they supply strong anti-inflammatory benefits from both their antioxidants and healthy unsaturated fats, they also promote beautiful, flawless skin and eyes due to their rich carotenoid content and vitamin E supply. Avocados are the secret ingredients that every beauty-loving girl or guy, should have on the grocery list! So, add some avocado to your next salad or sandwich, as it will enhance the benefits of your meal by promoting better absorption of healthy, beautifying carotenoids. Thanks to their effective restorative and anti-inflammatory properties, avocados make great bases to homemade skin and hair masks!